The IAITAM® Certified Software Asset Manager (“CSAM”) Course provides a foundation for managing software assets, as well as knowledge of the ever-changing variables that occur within the field. From software piracy and compliance issues, to legislation and organizational challenges, it is necessary to evaluate both the external and internal forces that are bringing changes to how organizations manage their IT Assets. 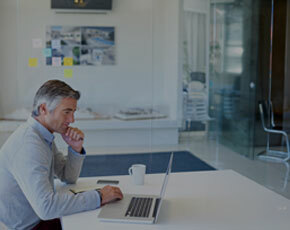 A successful Software Asset Manager must look at the overall goals of the organization and determine where Software Asset Management can play a strategic role in achieving those goals. In this course, students will learn best practices in Software Asset Management, as well as the when and why to question why something should or should not be done, how to clearly identify goals, and how to quantify success. Software Asset Management (“SAM”) is the set of business practices that support the use of software within an organization and frequently involves a new look at how and why software traverses the organization. SAM is now considered a mandate by many organizations looking at their Software Asset Managers as key contributors to the overall organizational goals such as reducing risk, increasing accountability, uncovering savings and gaining control of the IT environment. To be successful, Software Asset Managers must learn not only what constitutes the business best practices of Software Asset Management, but also learn how to implement those business practices in a way that is appropriate for their organization. This course exposes the attendee to numerous concepts for ITAM that are relevant for both direct application and as a means of discussion for those persons who will implement, manage and direct ITAM initiatives for their organizations. It is recommended to all students to allow for self-study time to solidify class content and external homework time assist in properly preparing for the exam. The amount of study time needed will vary by student, but is recommended for all students. Students receive an email directly from IAITAM with instructions to register and take the exam. This online certification testing is available for students starting the last day of class; from this point the exam will be open for 14 days. However it is suggested to take the exam as soon as possible following the course. This IAITAM CSAM exam is open-book. If a student is unable to complete the exam and retake (if needed) within their 14 day window, for more information on a one-time thirty (7) day extension, reference IAITAM; this option must be completed before the inital 14 day window expires. 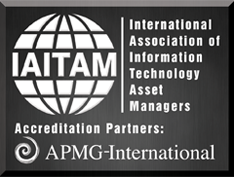 International Association of Information Technology Asset Managers, IAITAM, the IAITAM logo and iaitam.org are trademarks of the International Association of Information Technology Asset Managers, Inc. ('IAITAM, Inc.'), registered in many jurisdictions worldwide. CSAM Course is designed for those individuals with minimal to no experience in the field of Software Asset Management. It is essential learning for beginning IT Asset Managers and other IT professionals involved in asset management, resource budgeting, finance, software licensing, contract management and strategic planning.